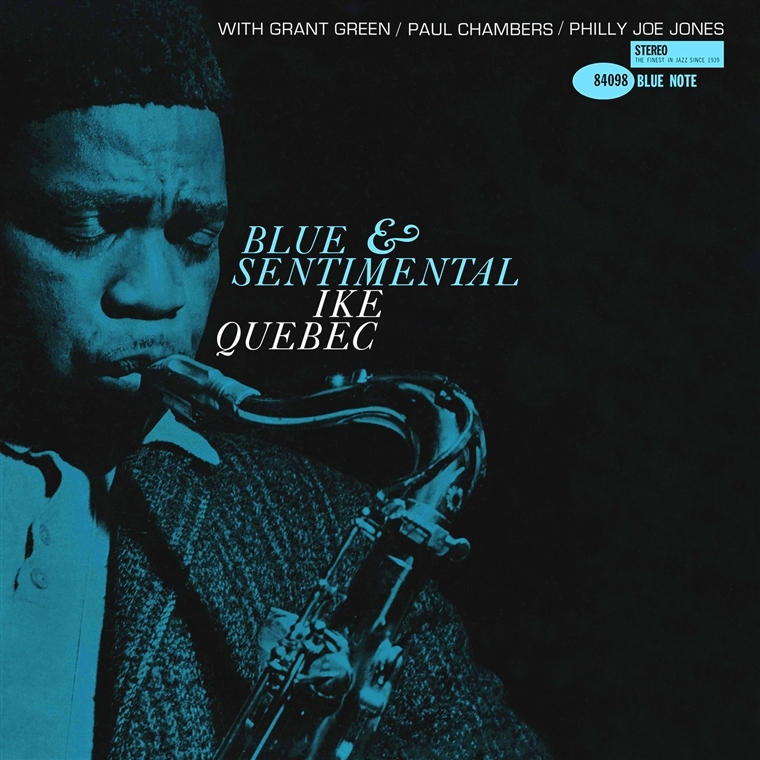 Ike Quebec was perhaps the least likely musician to be leading albums for Blue Note in the early 1960s for he was a big-toned swing stylist rather than a hard bop or soul jazz player. But Quebec, a superb musician who was making a major comeback, was one of the most important figures in the entire history of Blue Note. He was the one who introduced Alfred Lion to bebop in the mid-1940s (including Thelonious Monk and Bud Powell) which entirely changed the course of Blue Note. Quebec, who gained some fame as a member of the Cab Calloway Orchestra, was a member of the Blue Note family back in the mid-1940s, having a hit with his recording of "Blue Harlem." After Quebec introduced Alfred Lion to the new music, he worked as an A&R man for Blue Note. Inactive during much of the 1950s, Quebec emerged in 1960 in prime form, recording several gems for Blue Note including Blue and Sentimental, his definitive album. See more Ike Quebec records here.